The automobile industry and the varnish manufacturers use a considerable expenditure to produce particularly appealing surfaces. The main focus in the painting industry is on the protection against corrosion, weathering, chemical and mechanical influences as well as obtainment of appealing surfaces. Several manufacturers specialize exclusively in automobile lacquers. This book deals with the composition and the production of the most difficult components as well as their physical and application technology characteristics. Application technology characteristics describe the application behaviour, the task of protection and the responding appearance. Ulrich Poth approaches the people who are entrusted with raw materials, systems and application procedures. 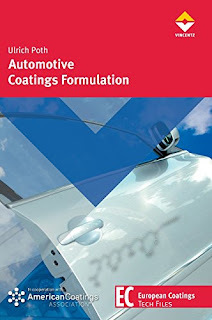 Furthermore, Automotive Coatings Formulation is addressed to all chemists, physicists, engineers and other technically interested persons.